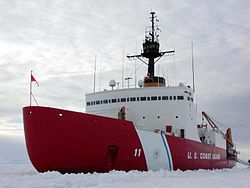 Not to be confused with United States Coast Guard Cutters hockey team or Cutter (boat). ^ "Aircraft, Boats, and Cutters". Retrieved 4 April 2011. 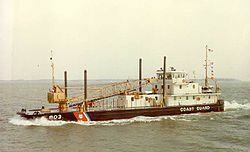 ^ USCG History, FAQS, Definitions: "What is a "Cutter"?". Retrieved 4 April 2011. ^ Peter Kemp, editor, The Oxford Companion to Ships & the Sea; London: Oxford University Press, 1976; pp. 221-222. ^ Willoughby, Malcolm F. (1957). The U.S. Coast Guard in World War II. Annapolis, Maryland: United States Naval Institute. p. 3.